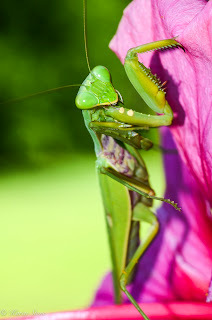 Mantis - sometimes even when you least expect it you can come across the most amazing things in your garden. 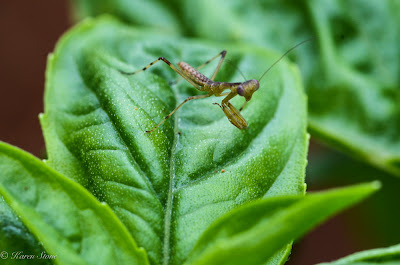 Just recently whilst weeding and digging around my vegetables I came across this Praying Mantis. 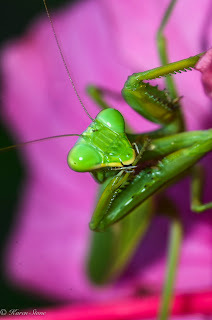 I love Praying Mantis, there are over 2,400 species and they camouflage themselves to the greenery around them. The word "Praying" comes from the angle of their 2 prominent front legs. Mantids can turn their heads 180 degrees to spot predators. 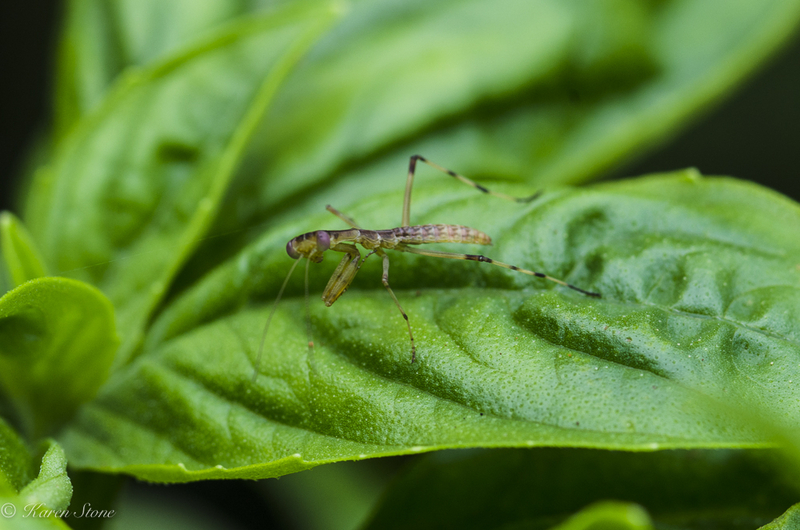 Juvenile Praying Mantis on Basil Leaf. The adult one I had photographed several weeks ago and then yesterday whilst weeding and studying to see if my basil plants were bolting I noticed this tiny little one. Less than a cm in length but has the characteristic front legs. More fun to be had exploring the garden looking for bugs.